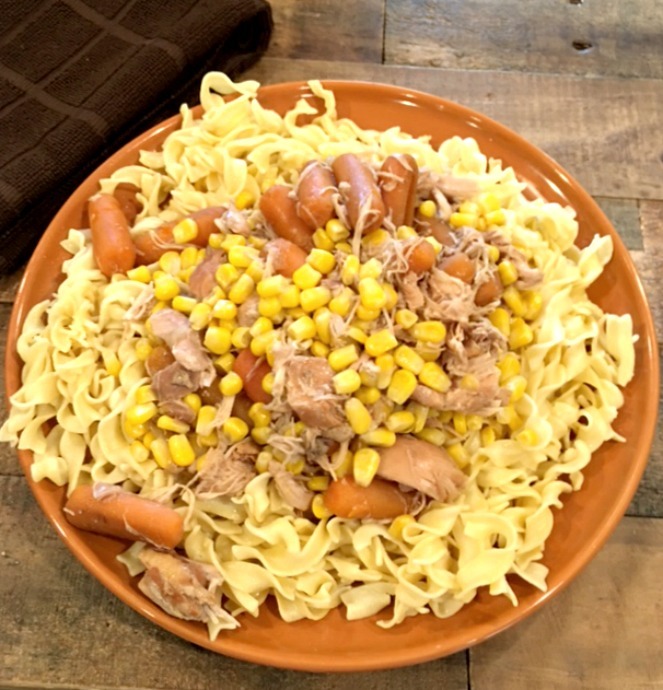 A family favorite that’s so easy to throw together. When you come home your house has the most amazing aroma and you will have a delicious meal for you and your family. Enjoy! This simple delicious meal was a throw together recipe from this morning. I had chicken pieces in the fridge and veggies I needed to use up. Love my crockpot that’s for sure. Since I had a whole day of errands and running around, I couldn’t be home watching a pot of food. When I opened the door after many hours being out, my house smelled so good! Make this dish soon. You family will love it just like mine did. 2 tbsp corn starch with 4 tbsp cold water, mixed well until corn starch is dissolved. Do this right before you are ready to add and only if needed. Turn crockpot on high and either spray with cooking spray or line with plastic crockpot liner. Wash chicken with cold water and place on bottom of crockpot. Add stock, soy sauce, sesame oil, and seasonings. Throw in onion, garlic, and bag of carrots right on top. Cover and cook for about 4 hours. Check and see that carrots are fork tender and chicken is cooked through and starting to shred. If the liquid is very thin and you want a thicker sauce, now is the time to add the corn starch mixture. Pour into liquid and stir around. Toss in the bag of corn. Cook another 1 hour or until the sauce has thickened. Cook noodles as per package in boiling water. When cooked, add some olive oil or butter, toss. Uncover crockpot and shred all the chicken. 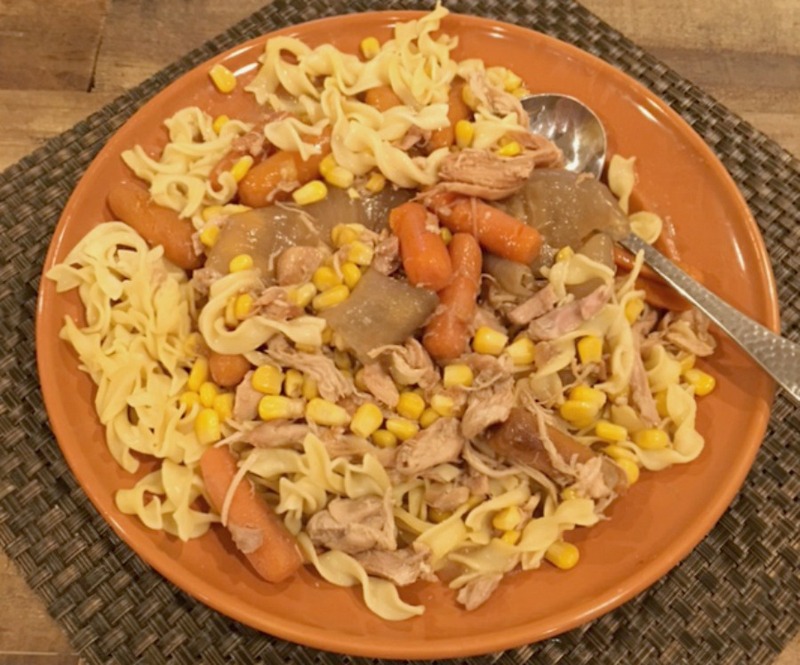 Place noodles on a serving plate and spoon chicken and veggies over noodles.